Empire Bay was originally known as Sorrento being the name of a large boarding house in the locality. The land was subdivided in 1905. The name changed to Empire Bay in 1908 when a Postal Receiving Office was opened in a building attached to the boarding house. The name was changed because there was already a post office named Sorrento in Victoria and Empire Bay was chosen because there was no other such name in the Commonwealth. The name was officially changed on 24 May 1908. William Huggart who owned Sorrento House was the first postmaster. In 1909 the status of the office was changed to Post Office. It was moved into C. C. Swinburne’s general store when he became Postmaster in 1910. Empire Bay is serviced by regular bus services (Busways) with connections to Woy Woy shopping centre and railway Station, the Ettalong Beach retail centre, Kincumer and Erina Fair. The village is also serviced by Central Coast Ferries on the Woy Woy to Empire Bay route via Saratoga and Davistown. 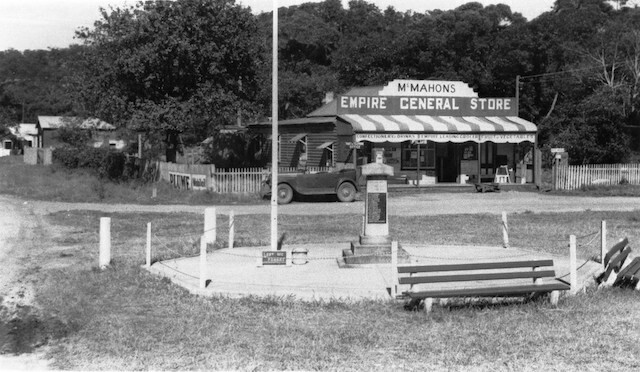 The original Empire Bay general store was built 1910 to 1912. This is believed to be taken around 1921, with the recent construction of the cenotaph. Later – date not known, but probably during the late-thirties to late-forties. 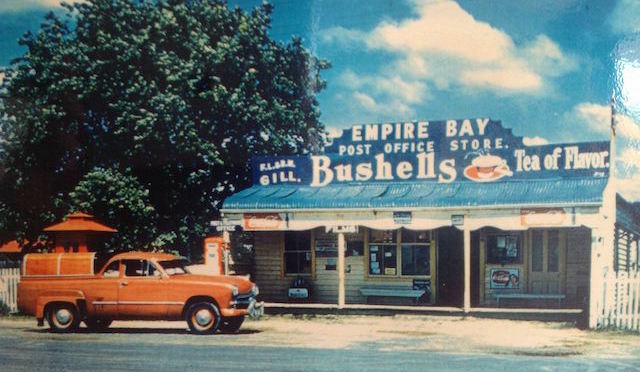 First colour photo of the general store, probably during the mid-fifties. 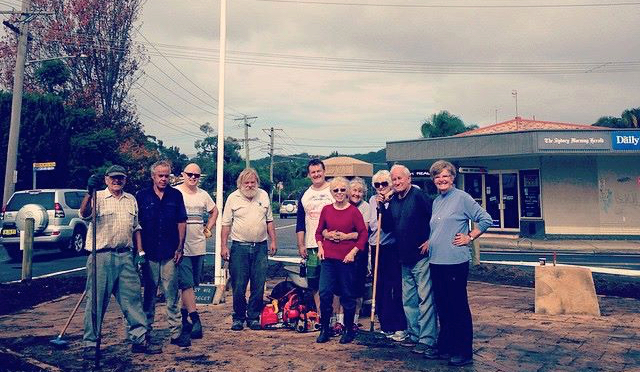 A closer view, taken in 2015, with a workforce of local volunteers upgrading the cenotaph as part of new traffic treatment. Australian Bureau of Statistics (31 October 2012). 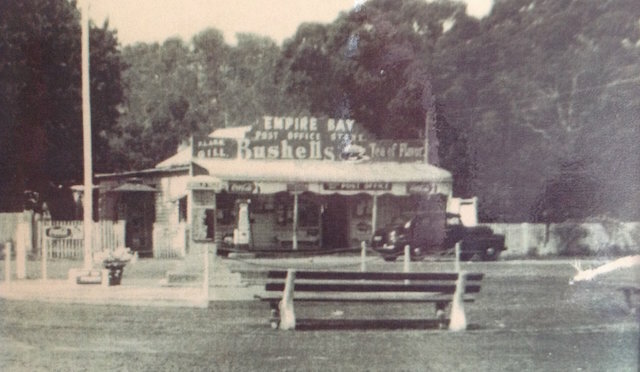 “Empire Bay (State Suburb)”. 2011 Census QuickStats. Retrieved 11 March 2013.